Eric "The Animal" Burdon and me, 1999. A living rock legend plays on! 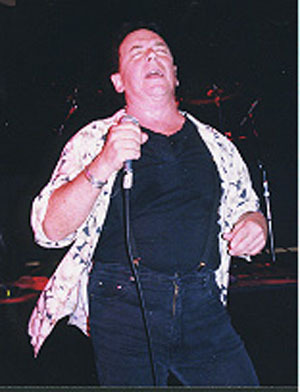 Eric Burdon is best known as founder and lead vocalist of The Animals, a 1960's "British invasion" rock group. The group projected an in your face "impolite" persona, in sharp contrast to The Beatles, Herman's Hermits, The Dave Clark Five, or other British acts of the day. Nevertheless, they were able to land appearances on The Ed Sullivan Show, a major achievement at the time, to perform hits like The House of The Rising Sun, and We Gotta Get Out Of This Place. 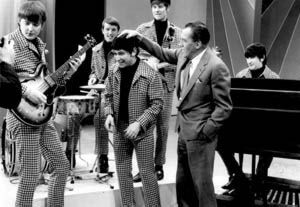 Ed Sullivan With The Animals (patting Eric on the head). 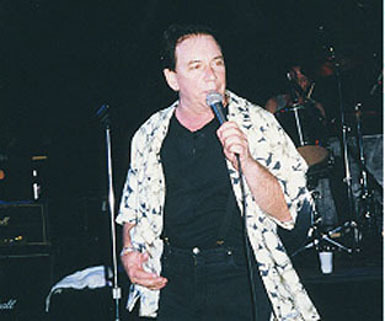 Eric Burdon Sings the Animals Greatest Hits, autographed CD jacket by Eric Burdon at his January 22, 1999 solo performance in Springfield, Virginia. Note the peace sign. 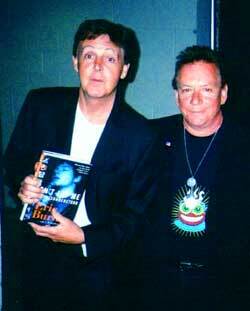 Eric and ex-Beatle Paul McCartney, discussing Eric's book "Don't Let Me Be Misunderstood." Eric Burdon (right) and The Animals in their prime. Eric Burdon autograph from his July 11, 1998 Jaxx appearance. Note the peace sign. 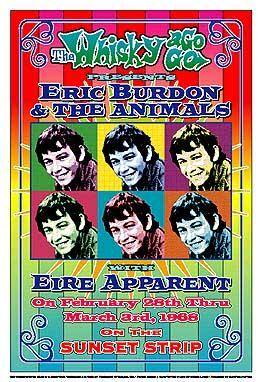 A flyer advertising Eric Burdon And The Animals at the Whiskey A Go-Go, Los Angeles, California, February 28 thru March 3rd, 1968. Ticket stubs for Eric Burdon's July 11, 1998 and January 22, 1999 Jaxx Nightclub gigs. Eric autographed the ticket stub from 1999.
to put on a truly unique and colorful performance. January 22, 1999 (Click to Enlarge). Autographed to my Cousin Rob, who got into guitars learning House Of The Rising Sun. Eric's bass player and keyboardist. Eric's lead guitar player, who was still with him in 2001. Eric's keyboardist, who no longer was with him in 2001. August 24, 2001 (Click to Enlarge). Eric banging away on a percussion instrument. Oh Lord, Don't Let Me Be Misunderstood! Read a Washington Post review of Eric's August 24, 2001 Jaxx performance.